We just received a copy of a new cookbook published by Mike’s family friend. 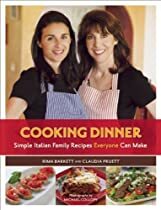 The book is filled with mouthwatering classic Italian recipes that are simple and quick to prepare. The prominent theme throughout is the importance of eating together as a family and it stresses the benefits of getting children involved with cooking at home at an early age. 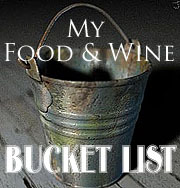 Recipes come complete with kitchen tips, weekly menus and shopping lists for people on the go. It also includes useful sections that help you decide what to make with the items you have in your fridge and how to turn leftovers into a delicious meal. The first thing we decided to make was the tomato soup because we had some ripe heirloom tomatoes that needed to be devoured. The soup turned out lovely and surprisingly light. We paired it with a grilled cheese panini. Delightful! Heat olive oil in large saucepan over medium heat. Add garlic,onion,carrot and celery. Saute 5-8 minutes, stirring often. Add herbs, salt, pepper and wine, reduce heat to low and cook for 5 minutes more. Add diced tomatoes and 1 cup broth. Bring to boil, stirring occasionally. Reduce heat, cover, and simmer for 20 min. Remove from heat. Remove herbs and blend soup with an immersion blender or in small batches in blender. Be careful of hot liquid! Add remaining broth and cream. Reheat over low heat until barely boiling. Taste and adjust salt/pepper. *We used 1/2 canned and 1/2 fresh tomatoes. Makes 4 small bowls or 2 large. This is an awesome cookbook with tons of great helpful hint sections like shopping lists and what to make with what you got. It’s a must have.